Kakunodate, a lush, historic district in Akita Prefecture attracts visitors with the promise of abundant natural beauty and its rich, samurai association. It was once a castle town, built around the Kakunodate Castle, although today, the castle is completely gone. You can, however, make the short climb to the site of the former castle where you’ll find a park bench, and a stunning view of the town all around, and the Hinokinai River. You’ll find the best examples of samurai architecture in the country, here in Kakunodate. 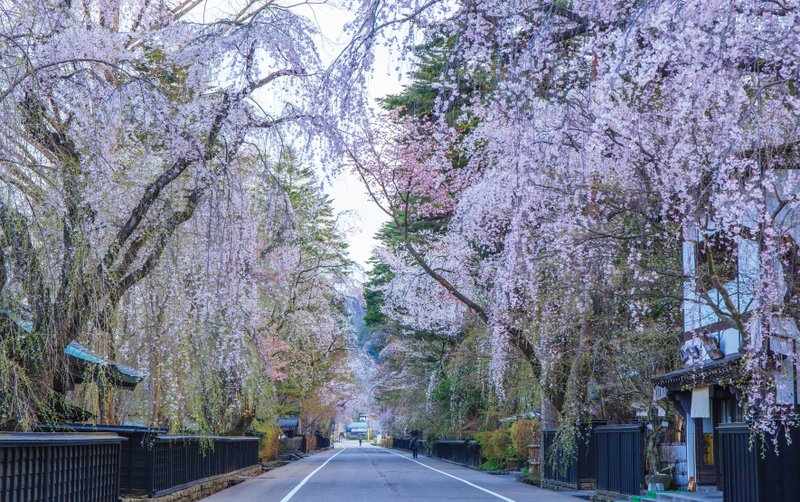 Walk the wide streets generously lined with cherry blossoms and observe the centuries-old wooden houses with their large courtyards. Six houses are open to the public so you can gain an insight into the life and times of the samurai. The Aoyagi House and the Ishiguro House are especially impressive with their museum collections and exhibition of samurai armour and clothing, so do stop to take a look. What began as an attempt of the samurai to cultivate the most beautiful trees by importing several weeping cherry blossom trees from Kyoto, is today the face of beauty of this castle town. You’ll find several of these framing the streets beautifully, especially in the samurai district. 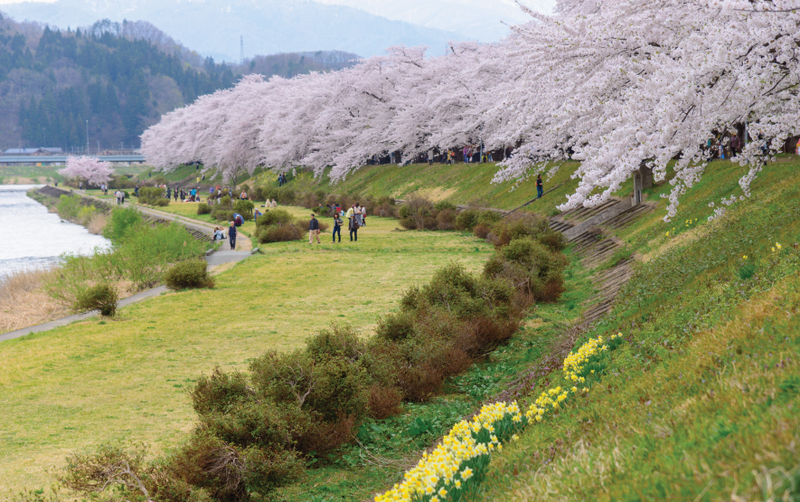 Visit during the Golden Week from late April to early May to catch the somei yoshino cherry trees that run for 2km alongside the Hinokinai River, in full bloom. It’s the perfect location for hanami parties and picnics. 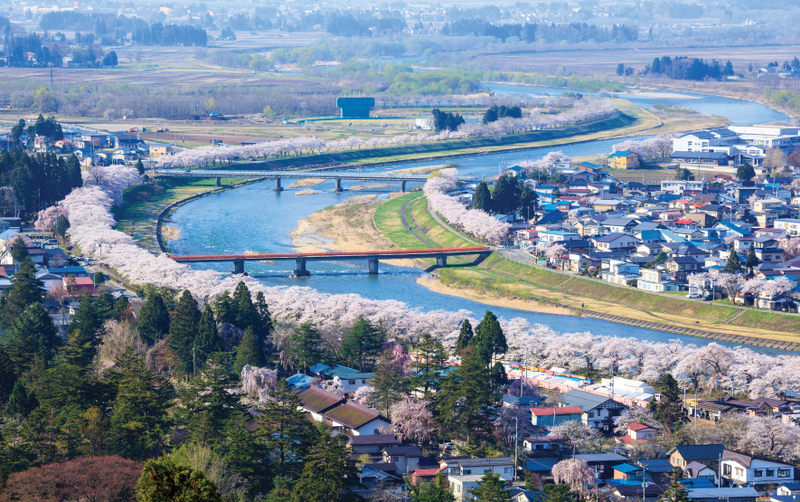 The cherry blossom festival here brings over one million visitors to Kakunodate, who enjoy the delicate beauty of the blooms and the delicious festival food. Autumn colours start making their fiery appearance in mid-October and peak in early November. 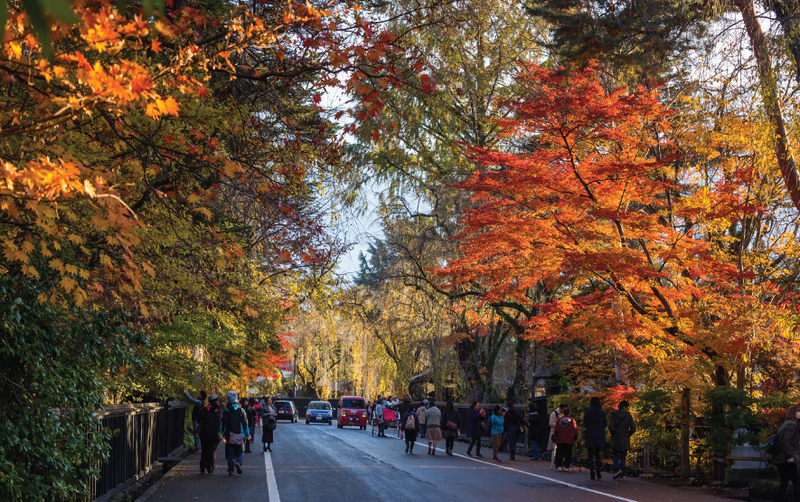 It’s a joy to walk down the picturesque streets with fall colours on both sides. 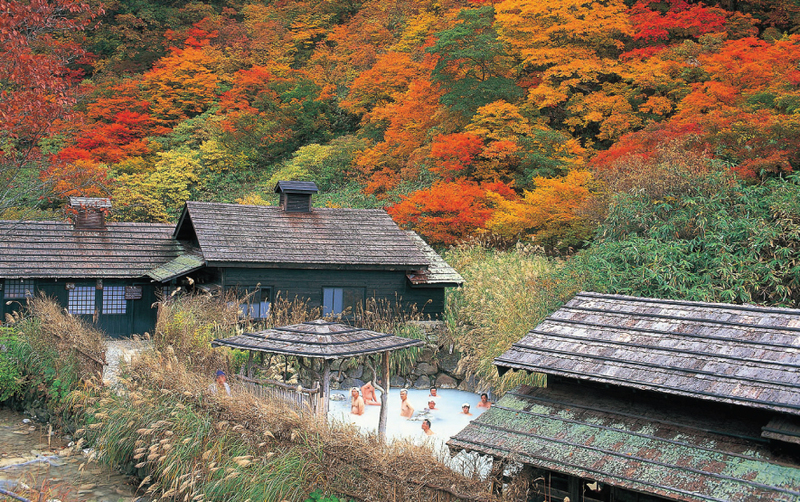 Kakunodate is one of the top places for viewing koyo in Tohoku. 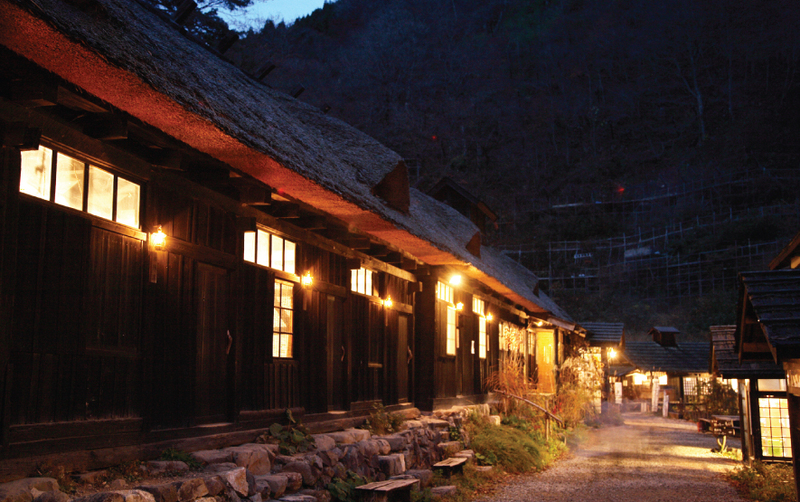 Just a short distance away from Kakunodate, in the mountains of eastern Akita Prefecture, you can enjoy the authentic Japanese onsen experience. 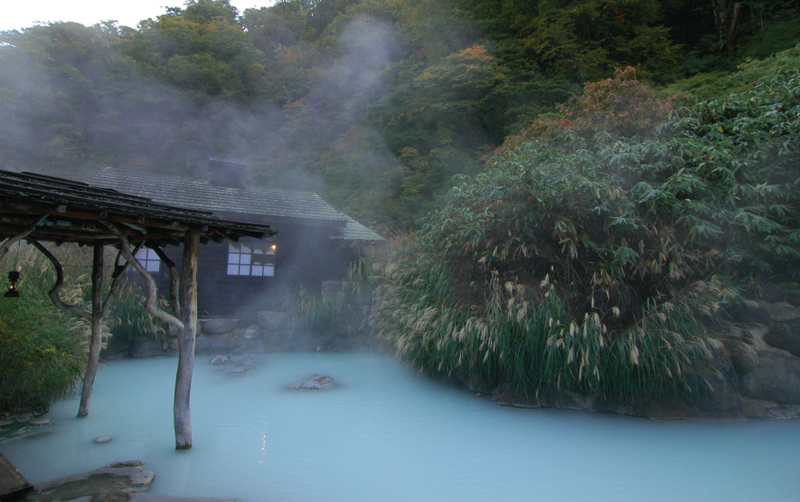 Explore a group of onsen in this relatively undiscovered part of nature, and garner some unforgettable memories of the open mountainside, misty hot springs and verdant nature. You could plan a day trip or vacation for longer in a rustic ryokan. 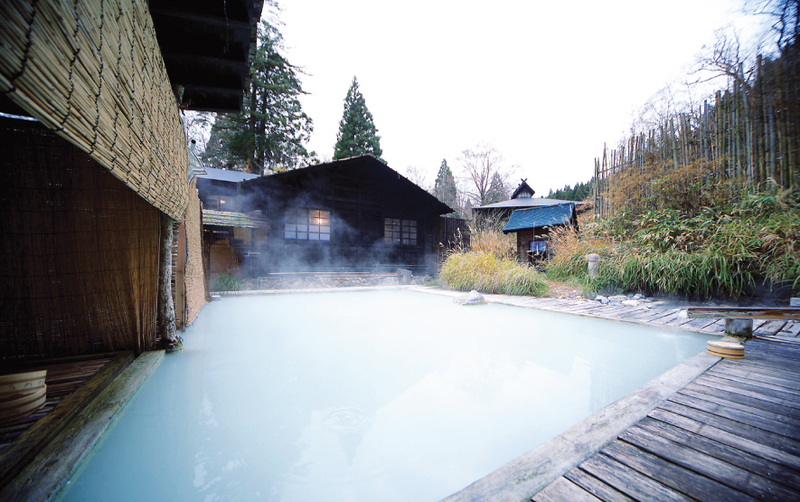 Enjoy a balmy dip with a view of the mountains, in the outdoor hot springs with their mysterious, cloudy appearance, or in an indoor onsen with a traditional setting and a view of the forest outside. There are also hiking trails for those who love being amidst nature. The verdant mountainside, the crystal-clear streams and the peaceful atmosphere make for some very enjoyable hikes in spring, summer and autumn. Kakunodate may not offer the glamour of the big city, but it promises all the wealth of nature and the enigma of history, especially that of the samurai. It is a much-desired destination for people who crave a little break from the hustle and bustle of the city. If you are planning a trip to Kakunodate in Japan, do not hesitate to contact your luxury travel designer Mr. Isao Numano.